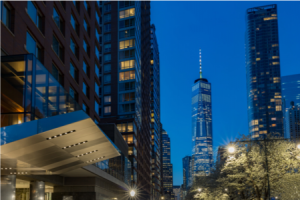 New York — March 19, 2019 — Hotel Internet Services (HIS), a full-service provider of internet services and solutions, has announced the successful implementation of advanced Wi-Fi services at The Wagner at the Battery, one of Manhattan’s most luxurious and widely recognized hotels. Recognizing a need to upgrade its network infrastructure in order to cater to the latest device and service needs, hotel leadership selected HIS due to its expertise in customizing Wi-Fi solutions that can maximize guest satisfaction and enhance operational efficiency. After learning of its industry-leading reputation from several of its sister properties, The Wagner at the Battery worked with HIS to implement a Wi-Fi network that could meet guest demands for enhanced speed and reliability. With the hospitality industry also seeking out ways to enhance property safety, the hotel further sought out a network that could provide building-wide coverage for staff panic buttons without reducing guest internet quality. In partnering with HIS, The Wagner at the Battery also gains access to a proprietary dashboard, a portal that allows hotel staff members to manage all aspects of network performance and health. Notable features include the ability to analyze the number of online users, as well as support tickets and revenue generated through Wi-Fi purchases. With its ability to monitor the amount of broadband being used, along with the operational status of each segment of a property’s network, the HIS dashboard further ensures a hotelier’s ability to deliver the highest quality in guest Wi-Fi at all times. The Wagner at Battery is managed by Highgate, a premier real estate investment and hospitality management company.